Sgt. 1st Class William M. Bennett was a Special Forces medical sergeant assigned to 3rd Battalion, 5th Special Forces Group (Airborne) at Fort Campbell, Ky. 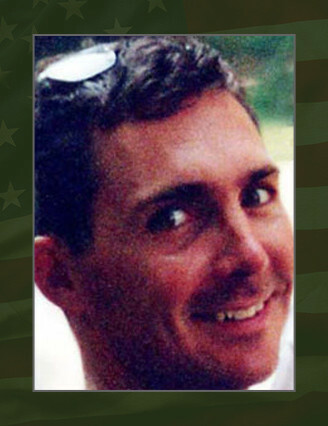 He was killed in action during Operation Iraqi Freedom on Sept. 12, 2003 near the town of Ar-Ramadi in Iraq. A native of Tennessee, Bennett was born on March 18, 1968. He entered the Army in December 1986 and completed bridge crewmember training at Fort Leonard Wood, Mo. His first assignment in the Army was to the 11th Engineer Battalion, Fort Belvoir, Va.
Bennett completed Army diver training in 1989 at the Naval Diving and Salvage Training Center at Panama City, Fla., and was then assigned to the 7th Engineer Detachment, Fort Kobbe, Panama, where he participated in combat actions during Operation Just Cause. After deploying to Saudi Arabia in 1991 to participate in Operation Desert Storm, Bennett volunteered for Special Forces training in 1992. In 1994, he graduated from the Special Forces Qualification Course at Fort Bragg, N.C. He went on to study Arabic at the U.S. Army John F. Kennedy Special Warfare Center and School, Fort Bragg, N.C. He was assigned to the 5th SFG in July 1995, where he participated in numerous overseas deployments to include combat operations in Afghanistan in support of Operation Enduring Freedom. His awards include the Bronze Star Medal with valor device, the Army Commendation Medal, the Armed Forces Expeditionary Medal, the Southwest Asia Service Medal, the Kuwait Liberation Medal, the Noncommissioned Officer Professional Development Ribbon, the Good Conduct Medal, the Overseas Service Ribbon, the Army Achievement Medal, the Combat Medical Badge, the Second Class Diver Badge, the Special Forces Tab, the Military Freefall Badge, the Master Parachutist Badge, and the United Arab Emirates Parachute Badge. Bennett is survived by his wife, Allison; his son, Seth; his aunt and uncle, Mike and Carolyn Wood; and his parents, Leonard and Kathleen Bennett.